By David Ponce on 01/22/14 • Leave a comment! Just look at those seats you drive around in all day, man. It’s a crying shame, and you ought to do something about it. Can we interest you in the above Smittybilt 5661024 GEAR Tan Front Seat Cover? 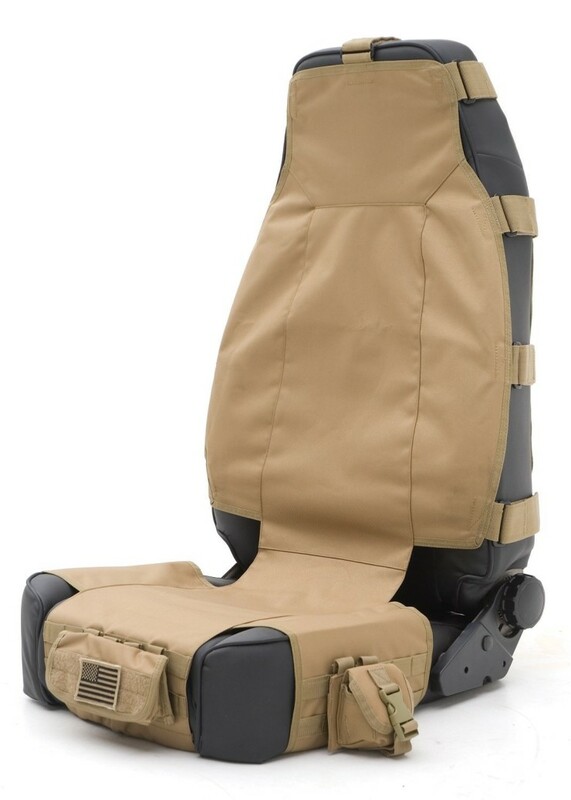 We like to just call it a tactical seat cover because, well, it just rolls off the tongue a little better. Aside from looking snazzy as heck, it’s functional too! 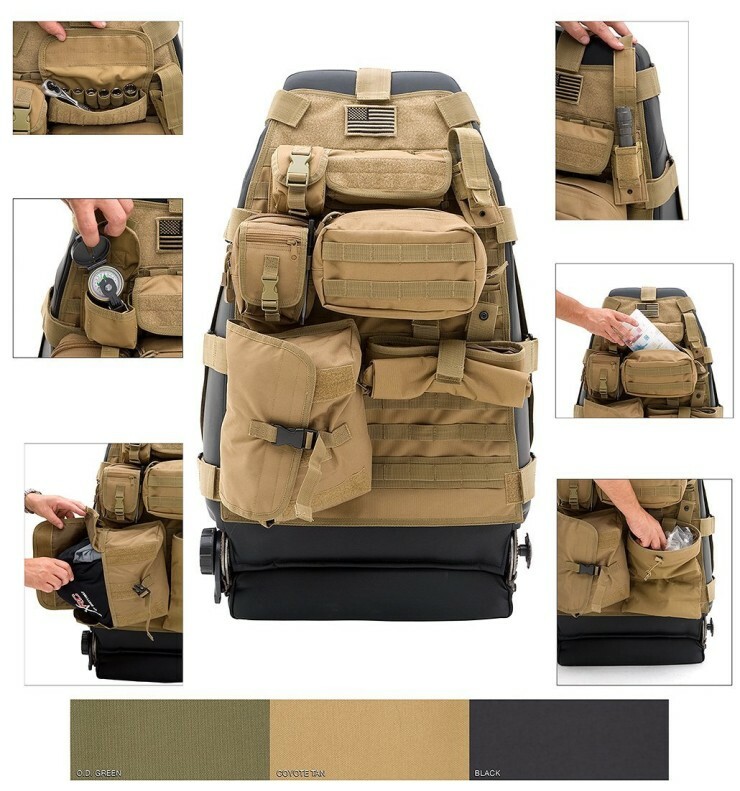 It is designed with five different pouches that are fastened using a Molle and Pals Restraint System. It is made from 600 denier polyester with a PVC liner and is highly durable. This seat cover allows to add, remove or place modular pouches anywhere and ensures easy installation. Better looking seats, extra storage space? We’d say that just about justifies the $100 asking price.